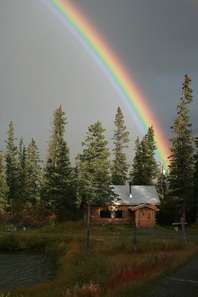 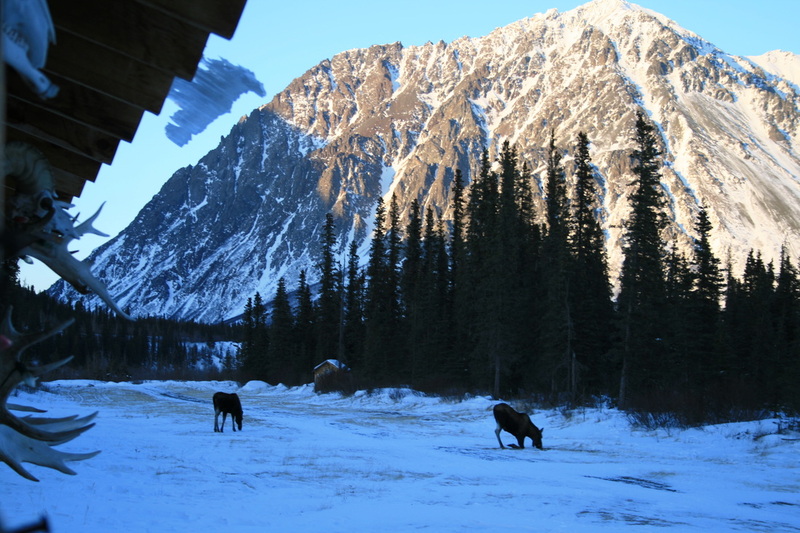 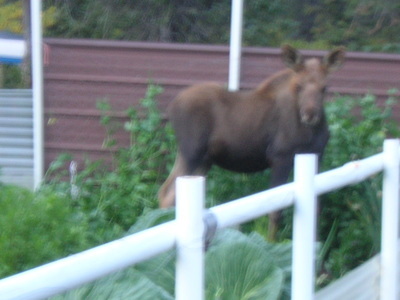 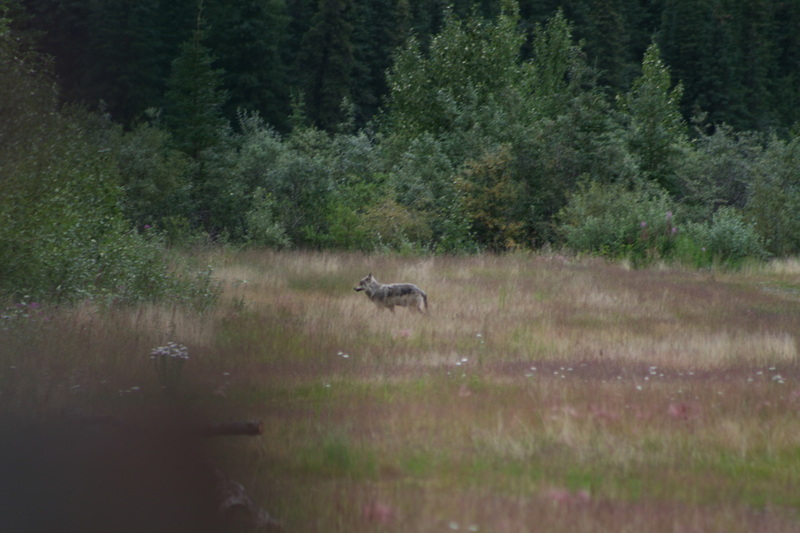 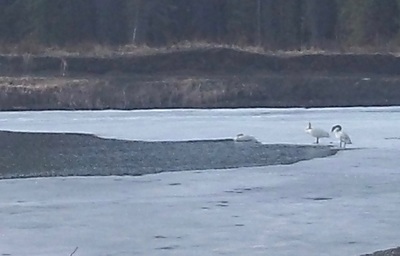 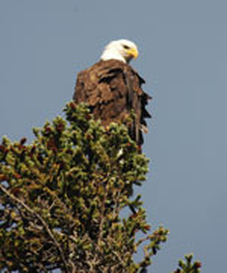 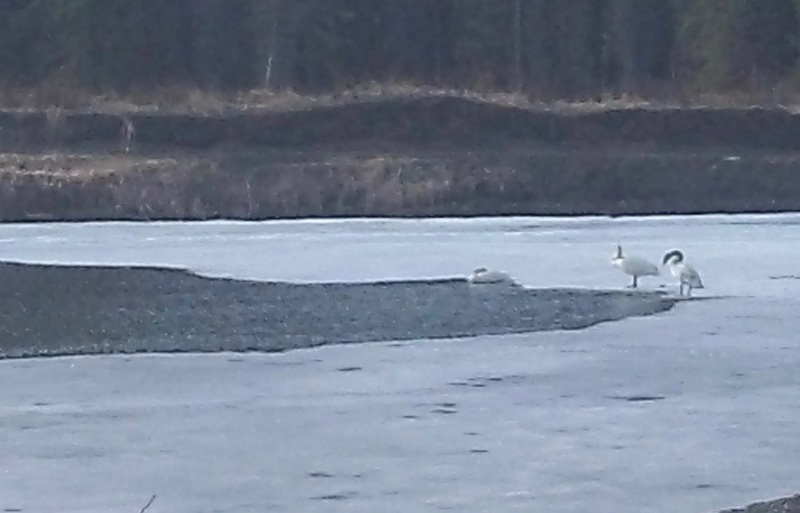 ​ 21 miles south of Denali National Park Entrance​ We have a wonderfully unique place here and invite you to stay and experience with us the simple, quiet ALASKAN LIFESYLE you dream about. 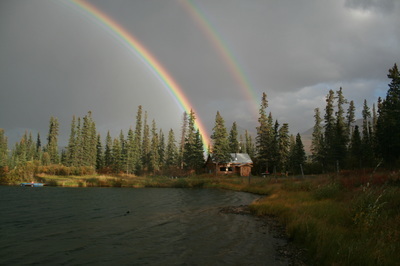 This place, my homestead is currently about 50 acres, and includes three private crystal clear lakes full of huge fish, organic garden, great walking, hiking and biking trails, lakeside sauna, while bordering the Jack River and situated in the most beautiful mountain valley anywhere along the road system in Alaska, never mind bordering Denali National Park. We only have two guest cabins currently, so reserving early is strongly advised. 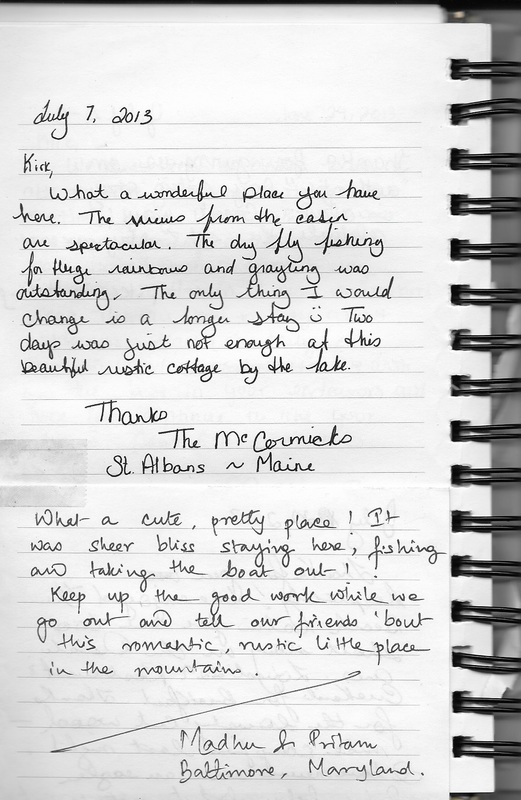 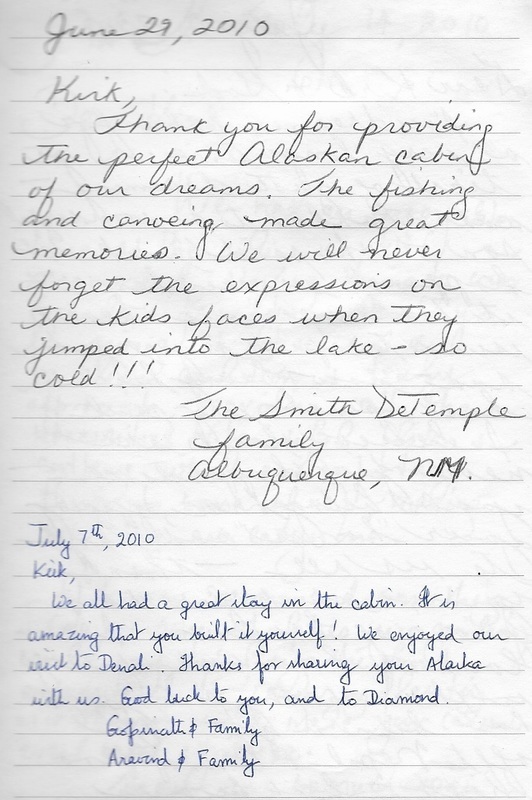 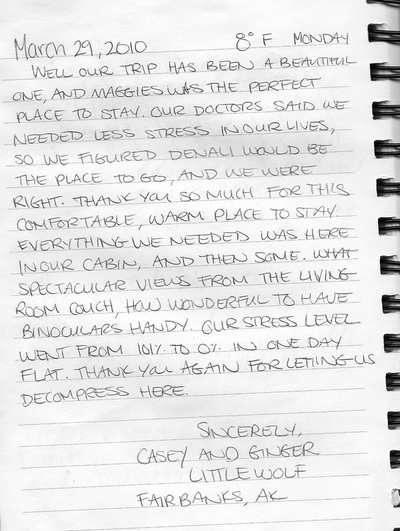 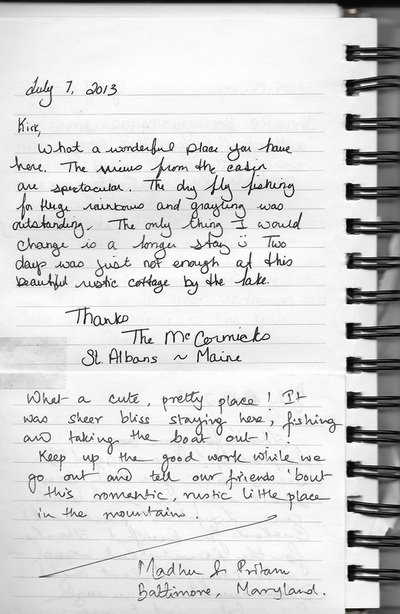 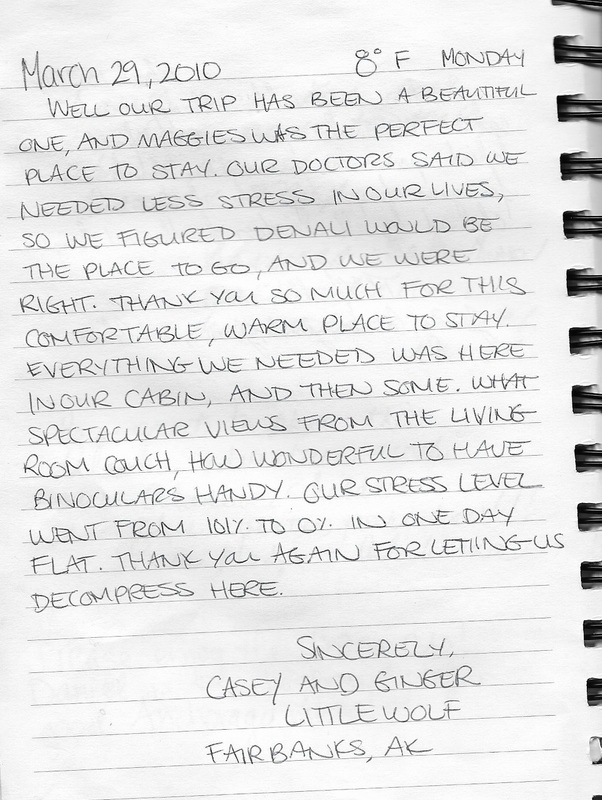 Average stay is 4 days and what we recommend to get a full experience. ​ This is a great place for families, and get togethers. 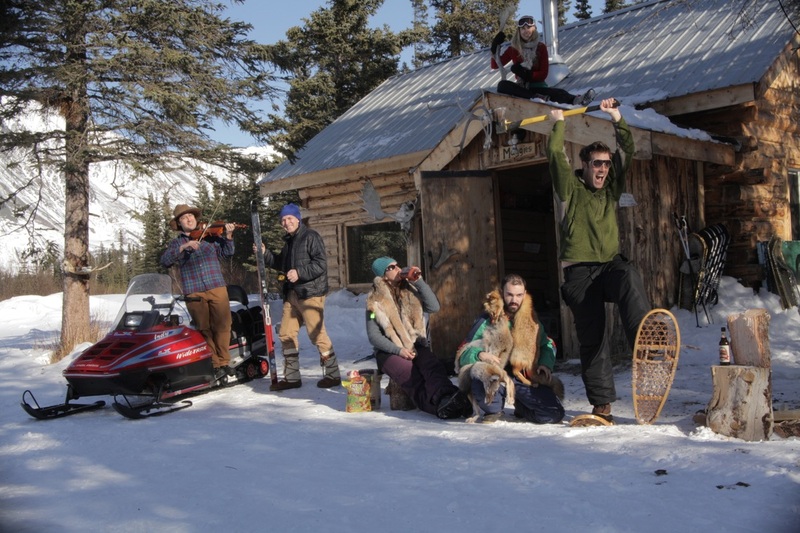 You are treated like family while here, so enjoy playing with the boats on the lakes, take a sauna and swim with the fish, help us feed the fish, or rent a FAT BIKE. 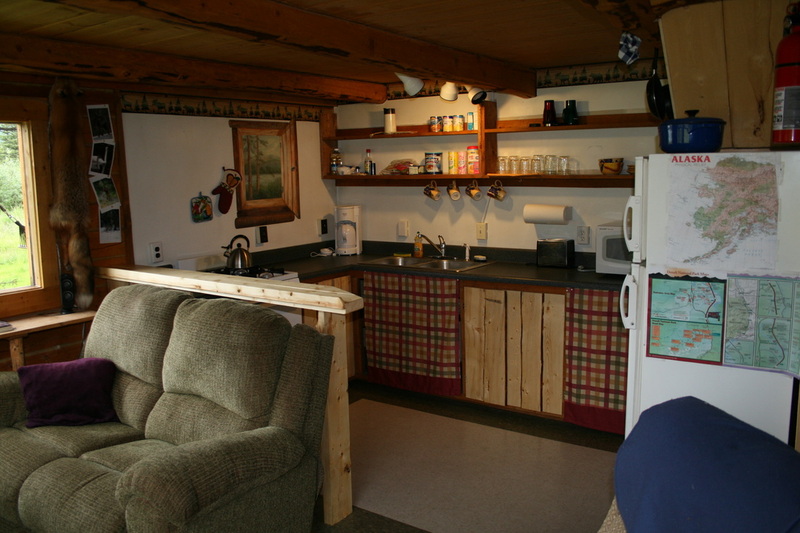 This is a real nice cabin, mainly for a couple, honeymoon suite, but also is used for a larger group with tents set up in the yard and using the cabin as a base for the group. 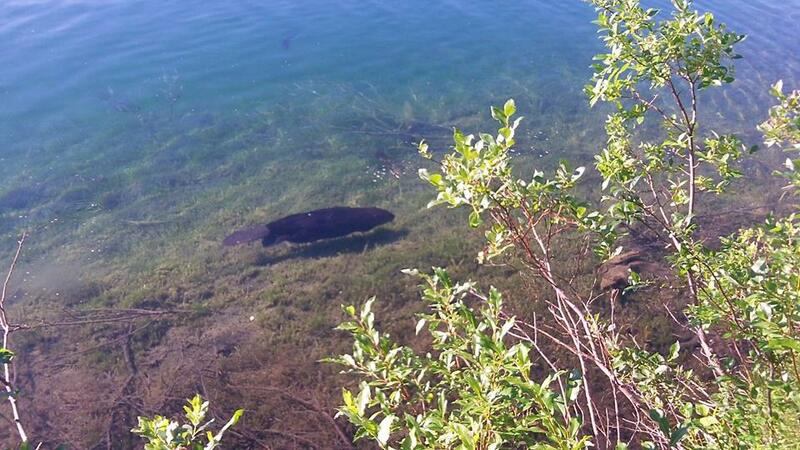 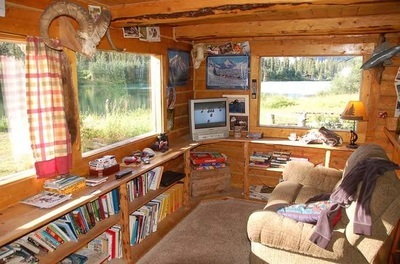 It has a lot of space around it, right on the lake, real close to the garden. 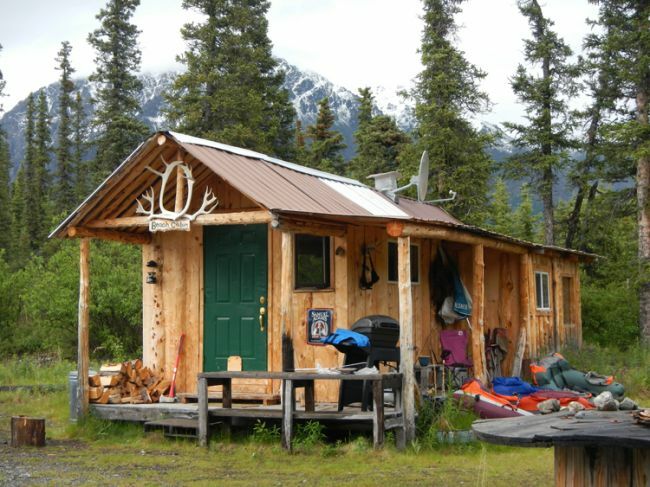 It has a single full sized bed, full bathroom with hot and cold water, full kitchen with everything you need except your food, wood stove and oil stove (constant heat if you wish), your own fire pit, propane grill, wifi, satellite tv, and the ALASKAN DECOR you are looking for. 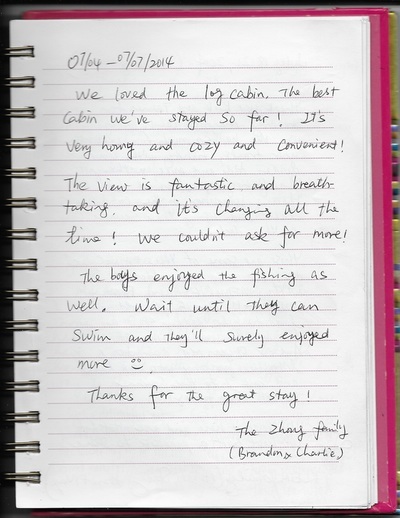 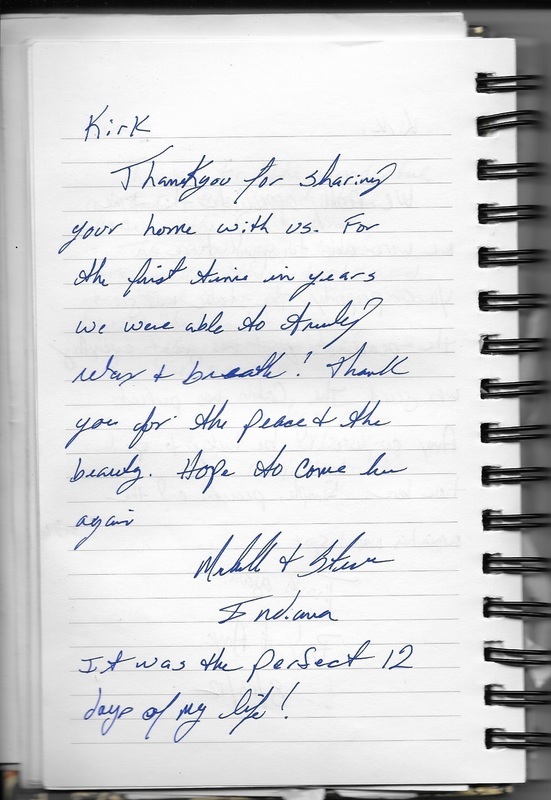 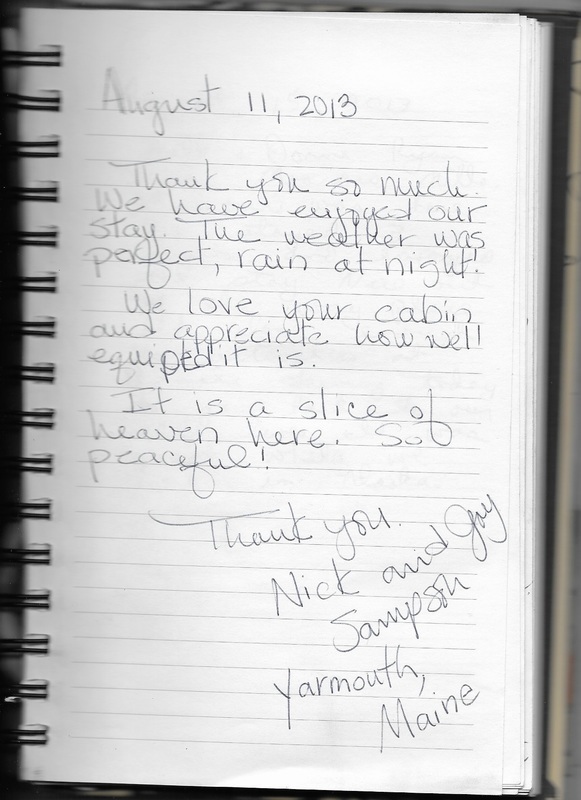 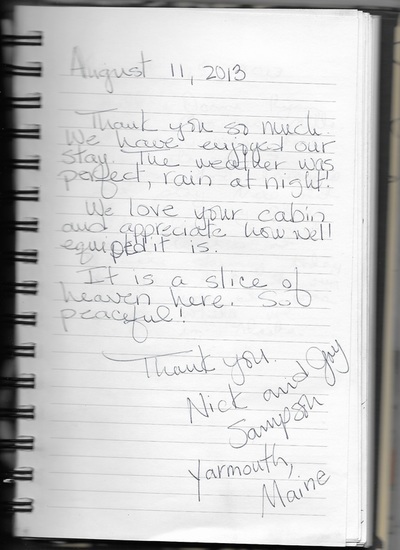 Most everyone loves this cabin, and returning guest always chose this one again and again. 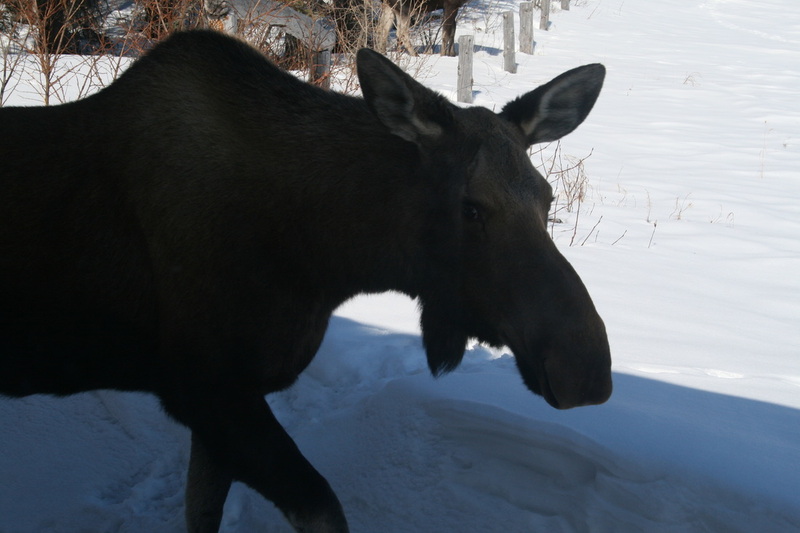 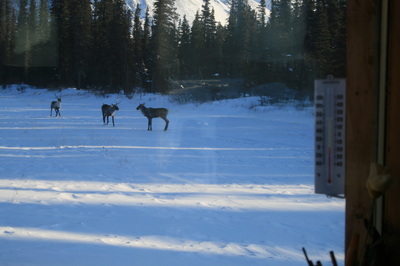 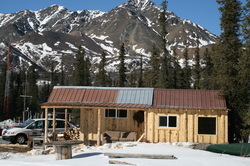 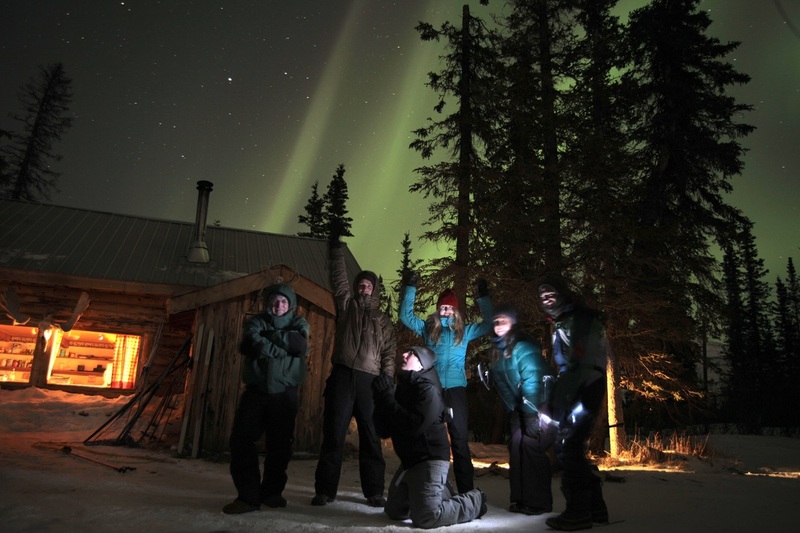 ~The only solar powered rental in the Denali Park Area! 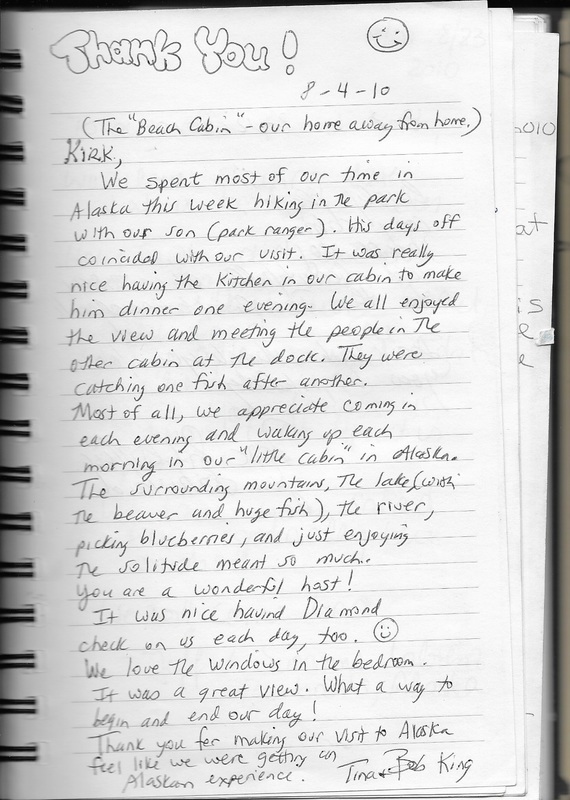 Maggie's Cabin is what most folks dream of when thinking about having their own log vacation home in the mountains of Alaska, and probably what you are most looking for in a vacation in Alaska, also. 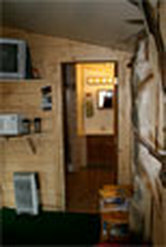 A fully modern log 3 bedroom / 2 bath home, complete with a full kitchen, well stocked with all the cook gear you could want, great siting area with awesome views, dining area, real alaskan decor, satellite tv, wifi, in the best setting you could ask for. 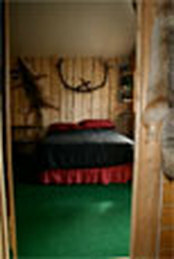 1 ground floor bedroom has a full sized bed and a full bathroom with stand up shower, 2 bedrooms upstairs, each contain a full sized and twin sized bed. 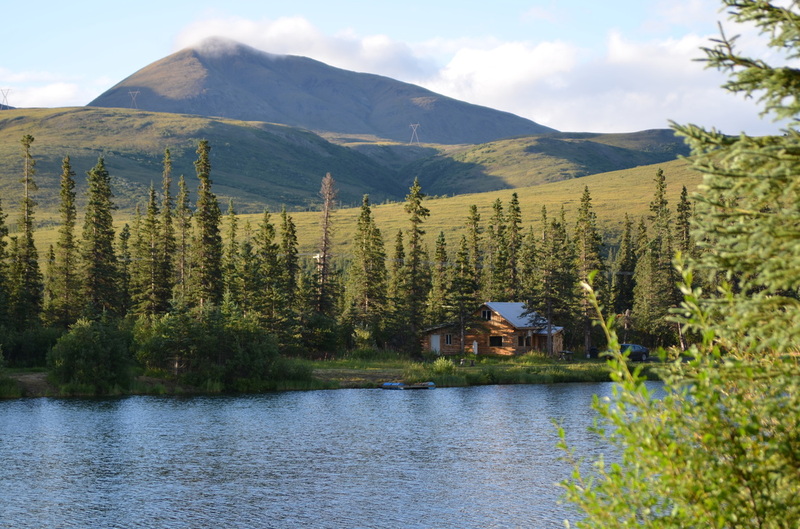 Right on a crystal clear lake full of fish, dock right out your door, lots of space, your own fire pit and propane grill and all with the most spectacular views in any direction! 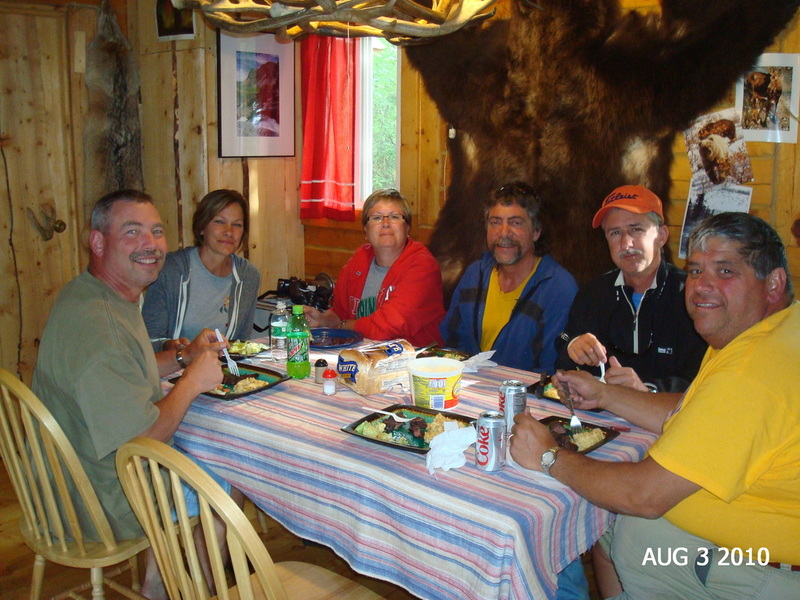 There is just one Maggie's Cabin for rent in the area, so check on reservations as soon as you know this is what you would like. 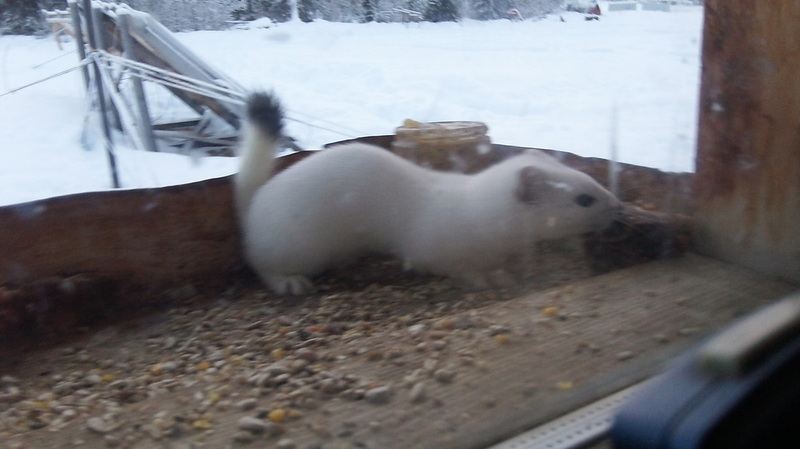 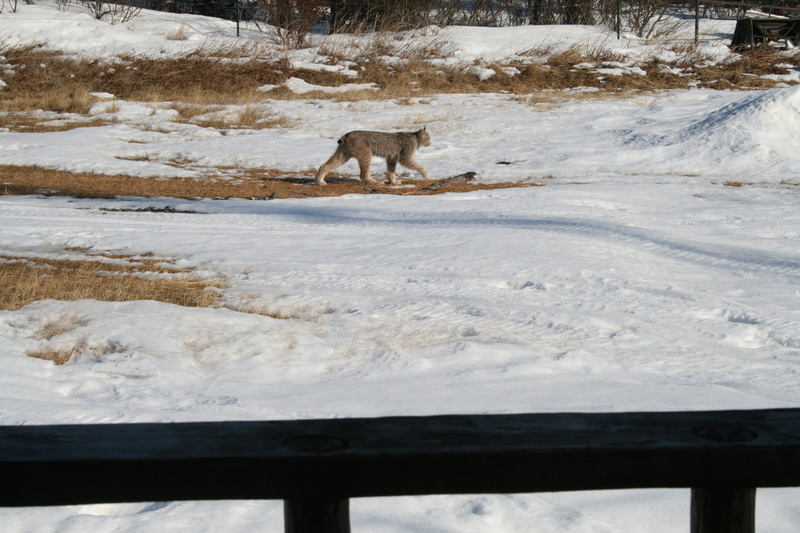 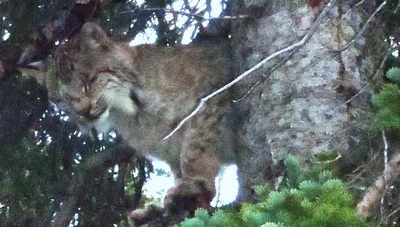 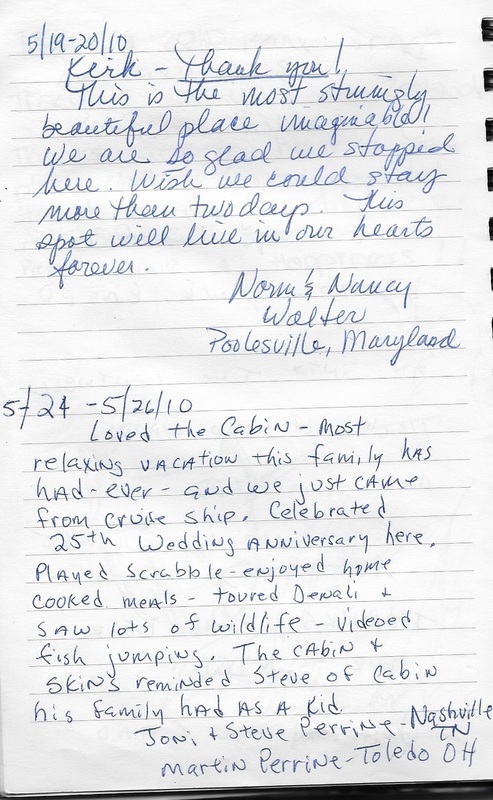 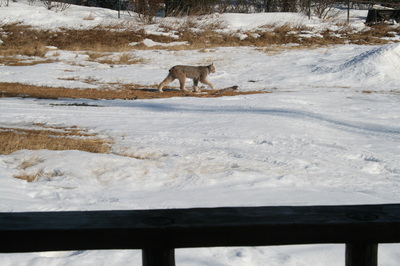 ​~ Pets allowed at $10 per night PP, you cannot leave them in the cabins when you are gone for the day. 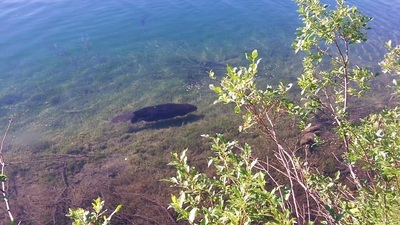 ~ FISHING~ To fish our private lakes, one has to be with a fishing guide and is an extra fee, check out the fishing page. 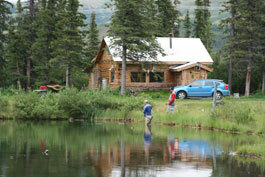 It is free to fish the local streams which some are just a short walk from your cabin. 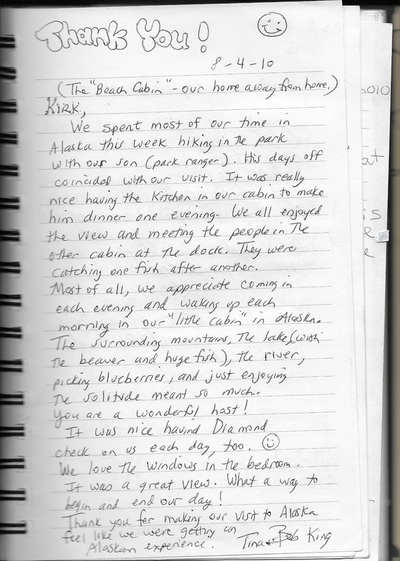 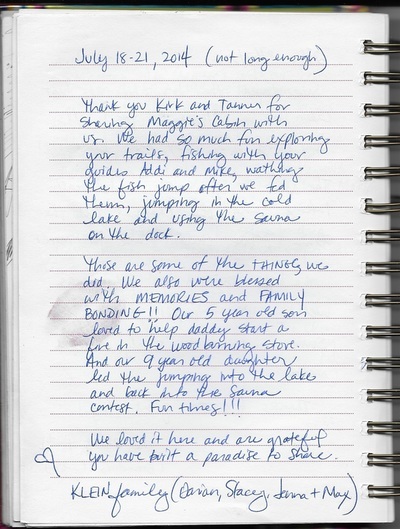 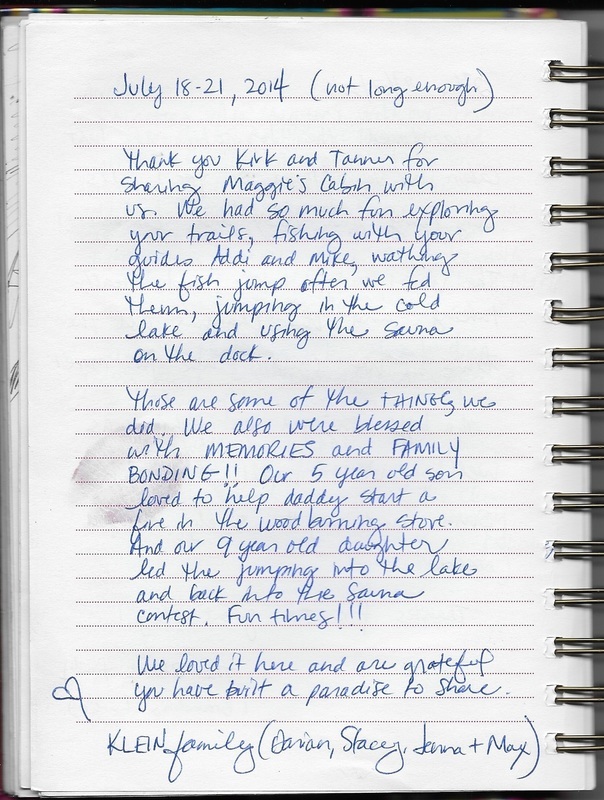 We take guided clients out there all the time and am more than happy to tell you where to go and what the current conditions are, so you can enjoy fishing at Denali on your own and without a guide. 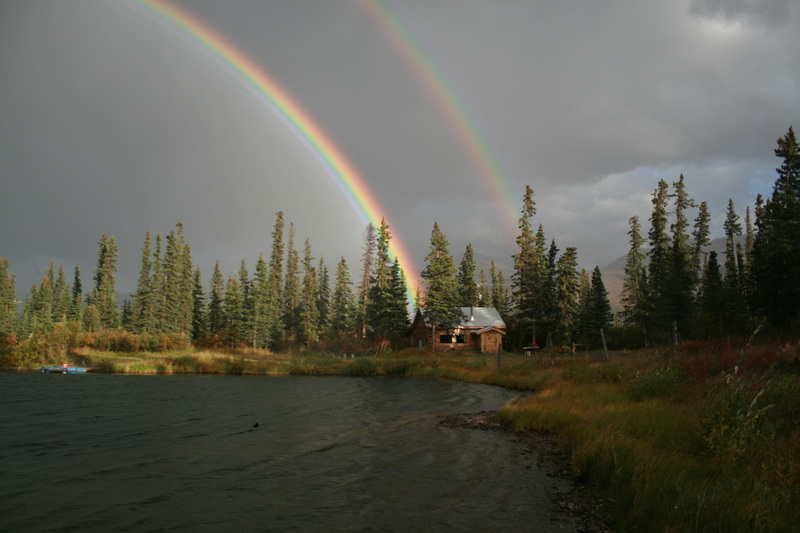 You can rent rods and gear from us, and purchase licenses.